Do you have a dog that gets distracted easily and blows you off? Does this drive you crazy because you can’t hike in the mountains? You have to have your dog on-leash, and you are sick of it. You want your dog off-leash hiking with you in Salt Lake City. Dog training can resolve this! 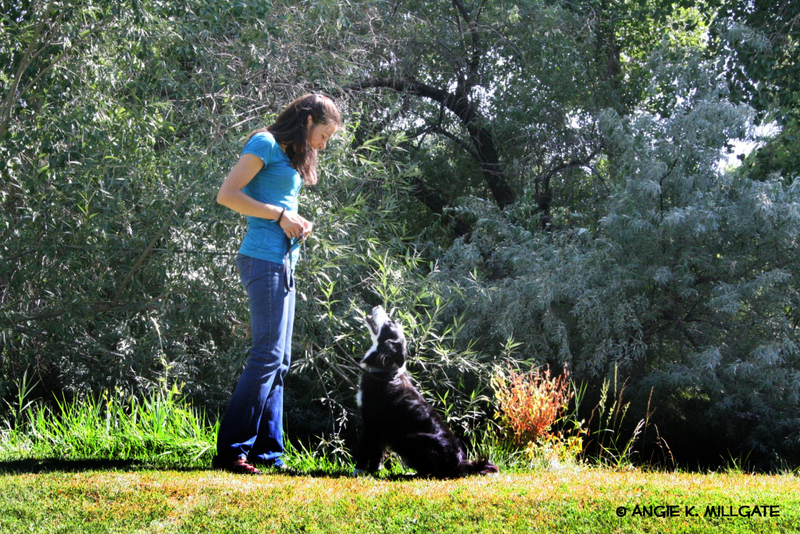 Let’s create peace of mind and get your dog to come when he is off-leash. 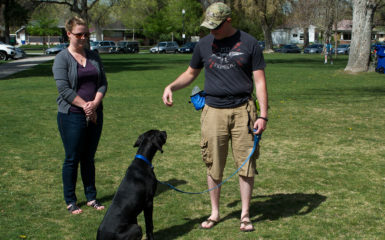 Scott Cornwall, a Salt Lake City Dog Training Client of ours trained Rigi with us. Scott wanted to be able to take Rigi outdoors to his cabin each weekend. When he first received Rigi, she didn’t respond to any commands so taking her off-leash wasn’t going to happen. We wanted to ensure that Rigi could begin to come when she was distracted. Eventually, Scott would be able take her off-leash in nature. He also enjoyed hiking in the mountains in Salt Lake City. 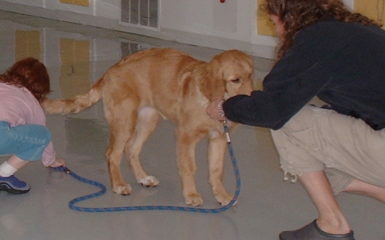 Dog training began with Rigi coming inside the home with no distractions. We decided to train an emergency come (EC) command, “Now”. With this command we give 20-30 seconds of a really special treat and just “okay” treats for the regular “come” command. The EC ends up being stronger than the regular “come” command. As a result, it is great to use in emergency situations. This could include running after wildlife or attempting to run into the street. Then, we trained Rigi to perform the EC in the home with minor distractions such as coming when she was distracted by food. From there we progressed toward the outdoor environment in the backyard and on the sidewalk during leash walks. We used a long lead that was about 10 feet in length. I don’t recommend flexi-leads / retractable leads because they can easily retract too much and get caught. The long lead prevents Rigi from running off. We began with Rigi coming without being distracted outside and progressing toward Rigi being distracted. 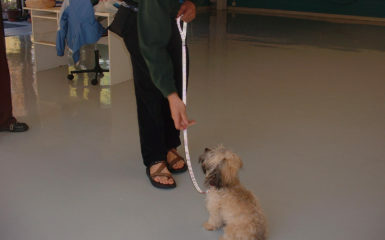 The video shows Rigi coming away from smells on a short leash week. We also trained Rigi to “come” in the backyard around her most favorite distraction which is strawberries. It was awesome seeing Rigi and Scott have fun during our training sessions together. Because Scott is very committed with his dog training, Salt Lake City should be ready for excitement. Rigi will be off-leash in the mountains soon and will be coming great! We are happy to help you with any of your training needs. 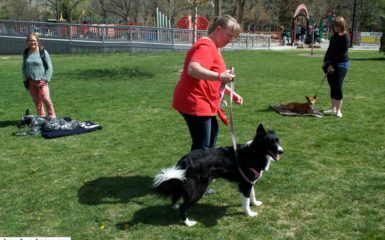 We have group dog training (Salt Lake City) courses that can help with training basic commands.